The ATO Headquarters claim that militants shelled the Ukrainian positions the record number of times for the last half a month — 87 and fired 114 mines at the night of April 13. No militaries perished during the last day, however, 8 were wounded in battles in the direction of Donetsk. In particular, three militaries were wounded during the shelling; 5 were in an APC which was tripped a land mine, according to Andriy Lysenko, PA spokesperson on ATO related issues. The full-scale broadcast of Ukrainian channels on the occupied territory of the Donetsk region has not been restored for the two years after the war, as it is said in the research conducted by the “Donetsk Institute of Information” - “The restoration of TV broadcasting on the occupied territory: current situation and challenges. Maksym Borodyn, deputy of Mariupol city council, was accused of being gay, and his car was damaged. Borodin posted the information about that on Facebook. 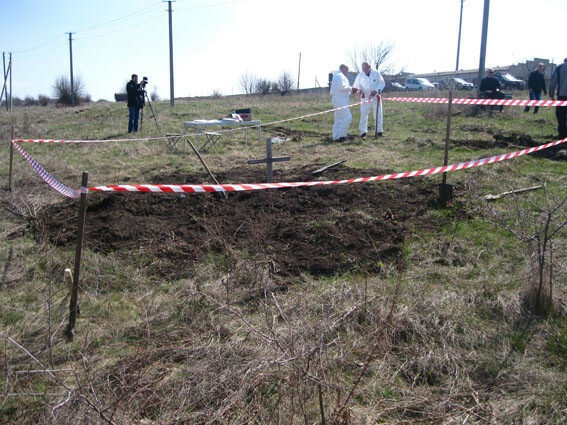 On April 13, between villages of Sporne and Hrubovka of Bakhmut district, a mass grave was discovered. There are bodies of unidentified men in camouflage. There are chevrons of illegal armed groupings on their uniforms. The information is presented by the Main Police Department of the Donetsk region. A staff member of the UN monitoritng mission who is a Ukrainian citizen was detained in occupied Donetsk on April 8. Representatives of international missions are not allowed to see their colleague, as it was informed by Iryna Heraschenko on her Facebook page. Representatives of the “law enforcers” of the illegal “DPR” organization claim that Yuriy Suprun, a Ukrainian citizen, is the SSU Colonel who used to be a chief of one of “Alfa” units which operated on the territory of the Donetsk and Luhansk regions. Marina Filipova, so-called “deputy head of LPR administration”, reported that Luhansk region occupational authorities ordered to get rid of all Ukrainian symbols on the territory which they control by Easter. 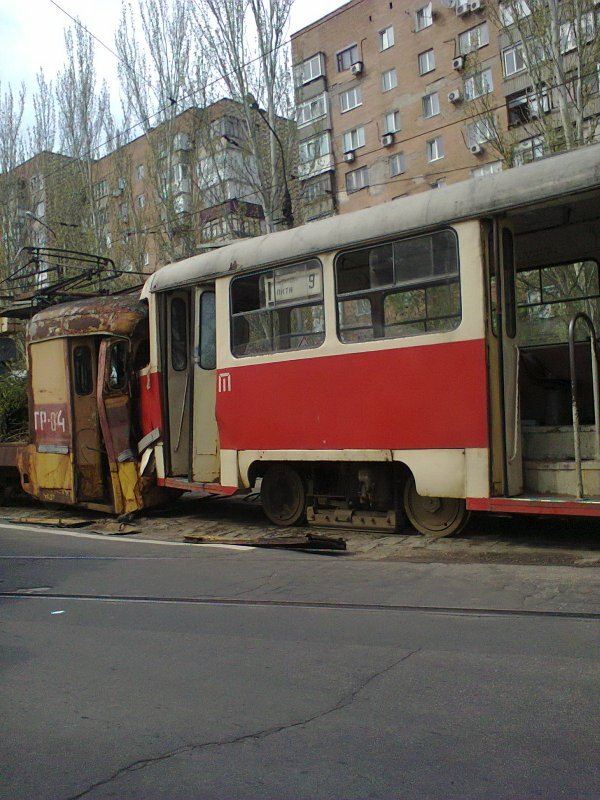 A cargo tram collided with a passenger tram #9 in occupied Donetsk (Dzerzhynskogo street) on April 13. A man and a woman who were in the cargo tram were hospitalized with leg fractures and bruise.